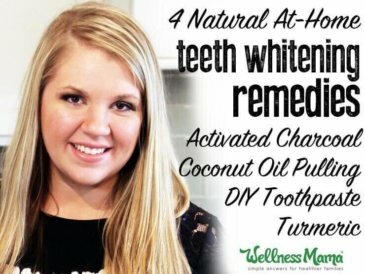 Years ago, a reader from India told me about a natural way to whiten teeth and it is the only method I’ve used since that time. Her suggestion? 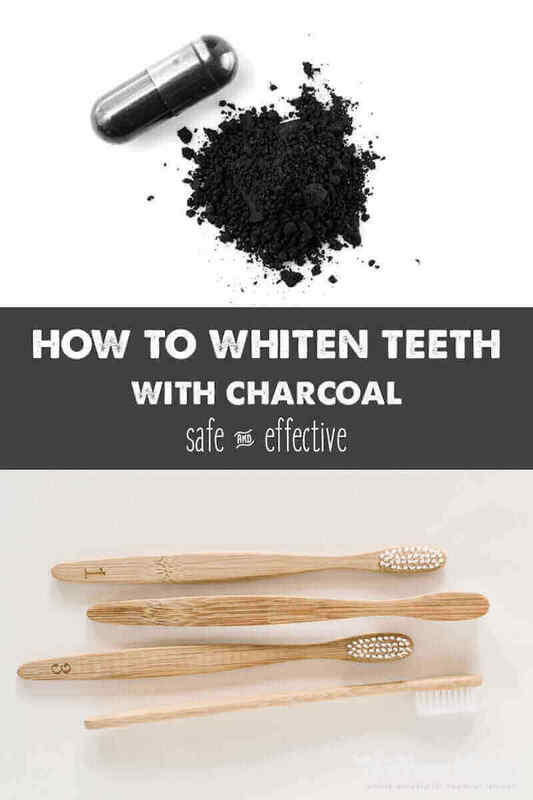 Use charcoal to whiten teeth with! I was very skeptical that charcoal could actually help whiten teeth. I already kept activated charcoal around the house since we have kids and this highly absorbent substance is often used in hospitals for food poisoning. Because I kept it around the house, I’d also seen firsthand what happens when it spills on a kitchen floor (grout = permanently ruined) so I was afraid it would stain my teeth and not whiten them. There are whitening toothpastes out there that have activated charcoal in them, but I decided a daily brush with charcoal toothpaste sounded like too much mess. I prefer to use the straight black powder version for a deep treatment. Activated charcoal is a highly absorbent substance. It removes toxins when they adhere to the surface of the charcoal. It is not absorbed by the body, but passes through the GI system, so chemicals and toxins bind to it, which then pass through the body and are expelled by the digestive system. Activated charcoal is extremely effective at binding to toxins from household chemicals, ingested medicines, and other chemicals from the body, especially when taken within 30 minutes of ingestion. 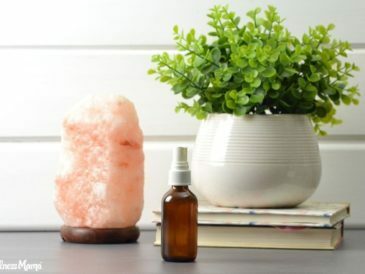 For this reason, it is a great first treatment for any kind of poisoning, but should not be taken within several hours of medications (or even vitamins) that DO need to be absorbed. 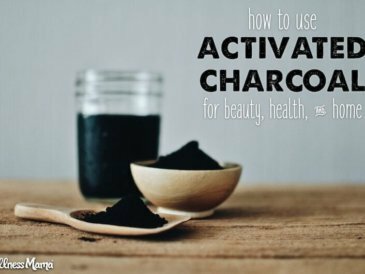 I had used activated charcoal when I had an awful bout of food poisoning, and it worked wonders! I mixed about a tablespoon of activated charcoal with water and drank quickly. The food poisoning symptoms went away within a couple of hours. This one dose was enough to remedy my food poisoning, but others report having to take this dose several times within a day before finding relief. Charcoal is not a substance I would take regularly, as it can cause constipation and block mineral absorption if it is taken when it is not needed. Also, it can’t be mixed with dairy products or many foods, as they lower its effectiveness. Charcoal can also cause dehydration in large doses so it is important to consume enough water when consuming charcoal. 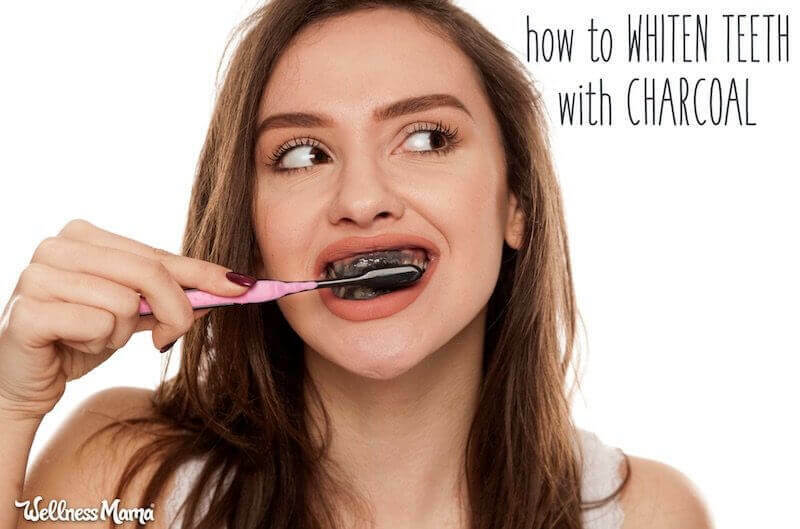 So, it’s all well and good that activated charcoal is an effective poison remedy… but does it really work to whiten teeth? As I said, since the powder stains everything, I had always worried that it would do the same to my teeth. (One of my kids dumped it in the kitchen one time and it does stain tile, grout, clothes and shoes… just so you know!). I’m sure everyone does it a little differently, but here’s the routine I’ve worked out over the years. Once you have it down, the whole process takes about 5 minutes. You can also see the whole thing in action in the video below. Dip a clean, wet toothbrush into the powdered charcoal (or dump a capsule of charcoal on the toothbrush). Lean over the container of charcoal and quickly put the charcoal-covered toothbrush in the mouth (this is to protect your sink). 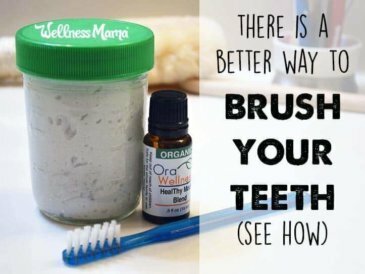 Your mouth will feel amazingly clean…. your sink, not so much! Use as often as needed. Readers have also reported mixing the charcoal with water and swishing with it for two minutes. Most natural health stores carry activated charcoal in loose powder or capsule form and it is also available online. 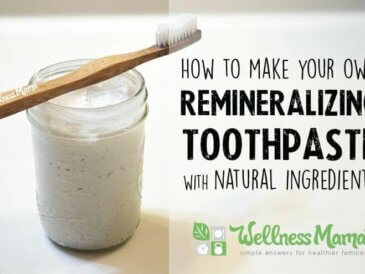 I keep both the powdered and capsuled forms on hand in case it is needed for poisoning and I keep the powder in a small glass jar for tooth brushing. Make sure that the charcoal is from wood or coconut sources and not petroleum-based. Please do not use any other form of charcoal besides activated charcoal in your mouth or internally. Do not use leftover charcoal from a BBQ grill or charcoal briquettes. Do not use charcoal pencils or any other type of charcoal. I don’t have any of these in a visible place to be able to share any firsthand experience. Readers have reported trying this method of teeth whitening without a problem on these types of surfaces, but I’d definitely recommend checking with your dentist before using this or anything else if you have any of these. Another question that I’ve received often. As always, check with a dentist if you have concerns about your teeth and before using any substance to whiten them. From the research I found, charcoal binds mostly to organic compounds and not minerals so there should not be a concern of it pulling calcium from the teeth. This is one concern that some dental professionals have expressed about whitening teeth with charcoal and it is a valid concern. I was unable to find any research that evaluated how abrasive charcoal was to the surface of the teeth. A suggestion from my friend who is a dentist is to use the charcoal without brushing or scrubbing. 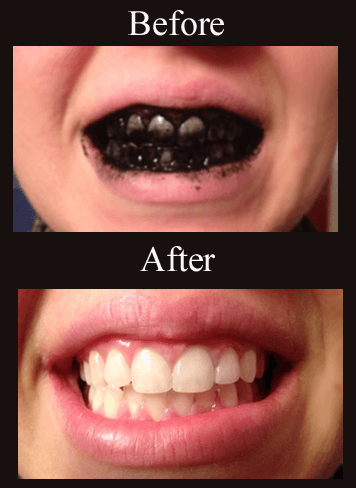 She suggested that anyone worried about charcoal being abrasive or anyone with sensitive teeth could accomplish the same thing by simply dabbing charcoal onto the surface of the teeth with a finger or cotton swab and letting it sit on the surface of the teeth for two minutes before swishing with water and rinsing. This would allow the charcoal to come in contact with the surface of the tooth long enough to remove surface stains without the brushing or scrubbing action that could be too abrasive. Using a toothbrush with round-tip bristles is gentler on teeth and good for oral health in general, so considering switching to this type of toothbrush. My dentist friend also advised me that activated charcoal will only work on surface stains that it is able to bind to, especially those from drinks like coffee and tea. It won’t usually work on teeth that have yellowed from antibiotics or other internal problems. Here’s a picture cropped from a photo at a family wedding so it looks pixelated). I’m super happy with the results! 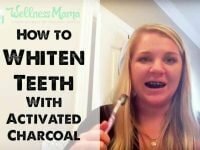 I plan to continue whitening my teeth with activated charcoal, but if the whole black-teeth thing doesn’t appeal to you I have found a few other natural ways to whiten teeth. Check out this post to see how they measure up to the charcoal method. 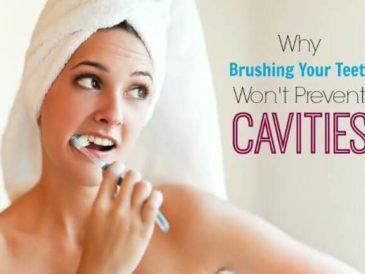 And you’ve found other natural ways to maintain those pearly whites, let me know what works for you!